New York-based fashion and style writer Nandita Khanna has been skiing since she was three years old. 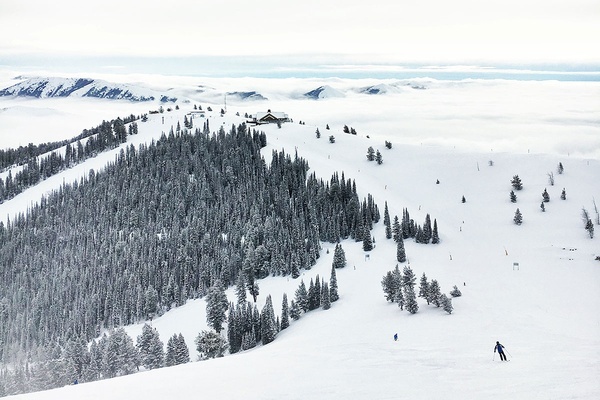 After several years of searching for a comprehensive guide to Sun Valley, her favorite ski town, she decided to write one herself. Then she gave it to us to publish on Gentedimontagna. Swish! SUN VALLEY, Idaho — The best word to describe Sun Valley? Magical. Sounds effusive, but it's true. Sun Valley is one of those places where the more you learn about its history, the more you meet the people that call the town home, and the more time you spend exploring, the more you quite simply fall in love with it. The same could be said for the resort's founder, W. Averell Harriman, who, in 1936, bought 3,000 acres in Ketchum, Idaho, in search of a four-season resort town. When opened in 1936, it welcomed a star-studded roster of celebrities: Clark Gable, Ernest Hemingway, Marilyn Monroe (Bus Stop was filmed here), Gregory Peck. Splashy features in Life and Look magazines followed. Very soon after, the tiny resort town with the country's first chairlifts was put on the map. 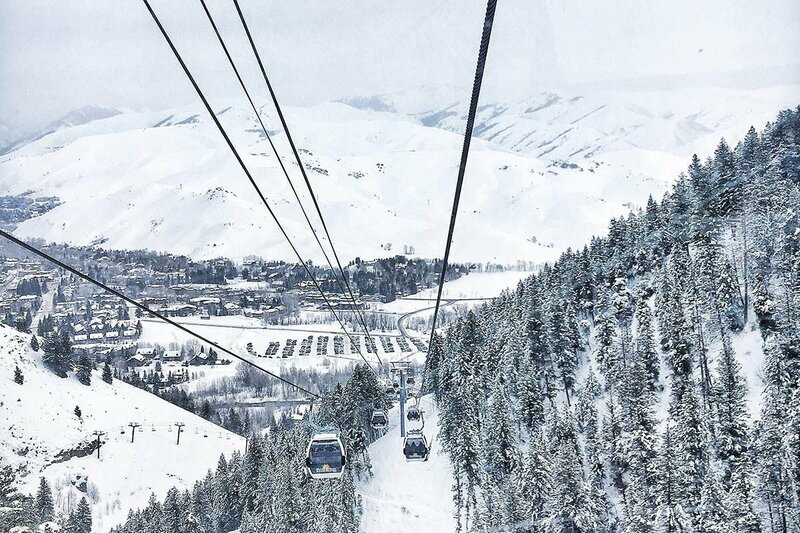 Sun Valley continues to attract moneyed and high-profile visitors, but its guests don't come for the glitz — they come for the snow and the terrain. To wit: There's not a Prada or Dior boutique in sight and only two chain shops (Lululemon and Starbucks) off the main drag. What's more, the town is full of unique, locally run boutiques, well-curated consignment shops, and a handful of top-notch restaurants using farm-to-table produce and serving local charm. The heartbeat of Ketchum's downtown centers on a few blocks of Main Street and Sun Valley Road. 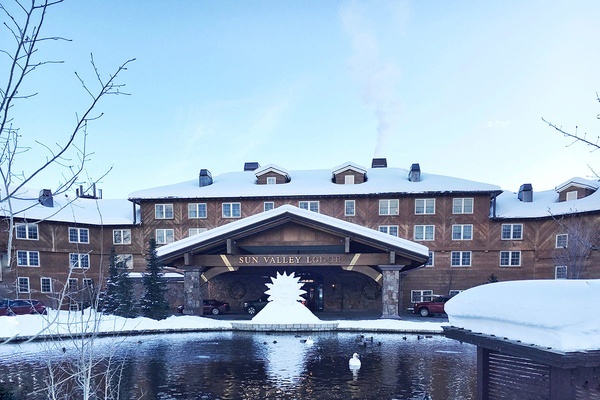 If you're staying at Sun Valley Resort (the biggest game in town), you won't be withing walking distance of downtown, so you'll have to drive or take the resort shuttle into town. Once you're in Ketchum, the majority of shops, restaurants, and ski outfitters are within walking distance. at the base of Bald Mountain is the spot to get set up with lessons, lift tickets, and gear and is just a few blocks off the main drag. 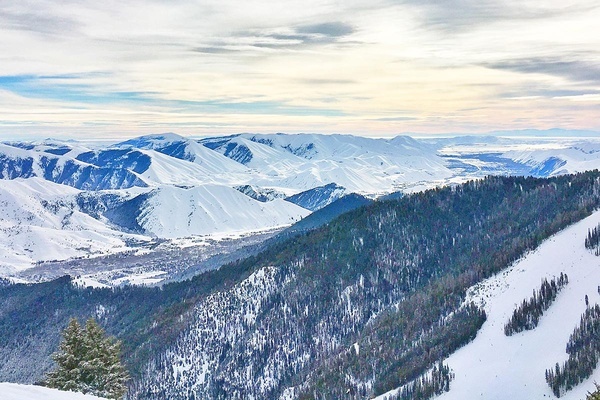 Sun Valley offers 3,400 vertical feet and more than 2,000 acres of terrain for skiers of all levels. Stronger skiers will likely stick to Baldy Mountain, where the general rule of thumb is that green runs ski more like blue runs elsewhere, blues are like blacks, and so on. Fortunately, lift lines are rarely a problem on the mountain. Nearby Dollar Mountain is perfect for newbies and offers a half-pipe for snowboarders. Strong and advanced skiers-slash-early birds should put their hat in the ring for Ski Patrol 101, a lottery program offered by Sun Valley Resort to guests with the purchase of a lift ticket. 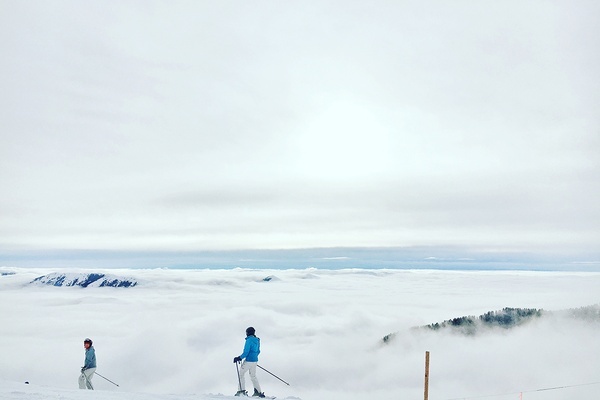 This gives a limited number of visitors the chance to hang with ski patrol hours before the mountain opens to the public, attend a ski patrol team meeting, and hit the slopes before anyone else (read: untracked powder, fresh corduroy). Sun Valley-based is the town's answer to the of-the-moment athlesiure trend. The made-in-the-USA label offers super-soft, breathable staples in a muted palette of white, charcoal, and black. Look for long-sleeved layering tees, flat seam leggings, and easy-to-throw-on cocoon sweaters that can take you from an afternoon hike to dinner in town. Longtime Sun Valley resident Terry Murphy curates a pitch-perfect selection of gifts and home furnishings at , a jewel-box shop tucked into the Galeria in downtown Ketchum. Look for pretty, Alpine-inspired china from European maker Chehoma Ascentielle and fire-scented candles from British designer Tom Dixon. Avid clotheshorses in Sun Valley will tell you the town is known for its stash of great consignment stores. One of the best is in downtown Ketchum. (They've got a home store next door, too.) Look for like-new ski pants for Bogner and a consistently well-curated selection of Hermès accessories. Those who aren't quite ready to tackle Baldy's downhill terrain should consider spending an afternoon at , which offers 40 kilometers of trails suited for cross-country skiing and snowshoeing. For further proof of Sun Valley resident Ernest Hemingway's long-lasting influence on the area, look no further than , where a significant collection of Hemingway titles (including several first editions and biographies) are for sale. Founded in 1948, is one of the oldest ski outfitters in the country. They're a one-stop-shop for everything you need on the mountain. The whole team there is extra knowledgeable and happy to give locals-only tips, like which runs to hit up first thing in the morning, and the best spot for lunch. They've got an outpost at the base of the Warm Springs lift too, should you need any tweaks to your gear during the day. Perched up 7,700 feet high on Baldy, day lodge is a must for its panoramic views and cozy fireplace. (It's accessible to non-skiers with the purchase of a gondola ticket.) At lunch, order the fondue — you can burn it off when you ski down at the end of the day. Sun Valley Lodge's is one of the few of its kind in the country and attracts everyone from beginners to bronze medalist Johnny Weir and gold medalist Meryl Davis. Skate under the lights and take in the 360 views of the surrounding valley. Rentals are available on-site. One of the crown jewels of the Sun Valley Resort's big renovation is the introduction of the new 20,000-square foot . Guests can seriously chill in fifteen treatment rooms, steam and sauna facilities, and the lodge pool, which is heated to a steamy 100 degrees in the winter and offers jaw-dropping views of Baldy mountain in the distance. About 23 miles north of Ketchum, a visit to is worth it for the scenic drive alone. But there's plenty to do on the 40 kilometers of Nordic trails set against Boulder Mountain. Should you need to refuel after an afternoon of cross-country skiing, the rustic lodge offers a hearty lunch menu: Idaho beef burger, elk meatloaf sandwich, and veggie wraps made with locally grown winter squash. The wood-fired grill at Enoteca. Photo courtesy of Enoteca. 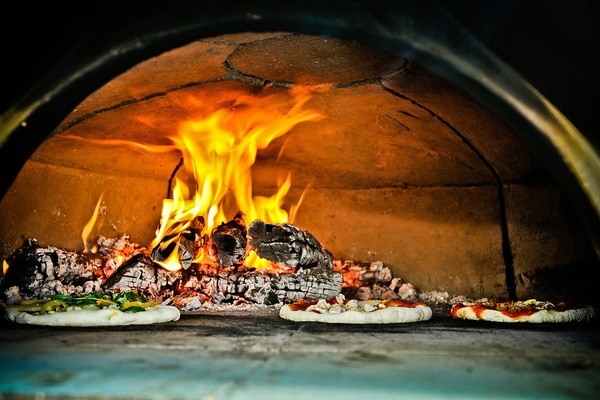 Wood-fired pizzas are the specialty at , a relatively new and buzzy addition to Ketchum's downtown dining scene. The high-ceilinged, brick-walled space is run by Scott Mason and his wife Ann, who also own local favorite , which is to say that they know what makes a great restaurant tick. Not to be missed: an extensive wine list, local beers on tap, Idaho trout, and the Mercantile pizza made with lamb sausage, red bell peppers, and smoky mozzarella. Nearby Ketchum Grill is housed in one of the oldest buildings in town and is chock-full of nostalgic touches: kitschy ski posters, old photographs of John Wayne, a kayak mounted to the wall. There's always a long list of specials, but the truth is that everything on the menu is satisfying. Book a table for breakfast or Sunday brunch at Tuscan-inflected , a celeb favorite and one of the places in town you'll definitely need a reservation. The morning coffee cake and cinnamon rolls are as good as they look. At , the motto is "Sorry, we're open." This no-frills restaurant is the epitome of an après-ski dive: Beer cans and Idaho license plates line the walls, and the menu, written on a chalkboard, consists of a couple variations on a burger (quarter-puond, half-pound, a fowl burger, and a garden burger), hot wings, chili dogs, and a daily special. The burger is the thing to get. Lighter appetites will find the quarter-pound burger more than enough, especially if you finish it off with a fishbowl-sized schooner of beer like everyone else in the joint. is a rite of passage in town. Everyone who has ever been to Sun Valley or lives in Sun Valley will tell you that you must visit. But be warned, part of the experience of Pioneer Saloon is waiting upwards of two hours for a table. Belly up to the bar and take in the atmosphere (mounted elk and buffalo antlers, period firearms galore) and maybe befriend a local or two before sitting down to a well-earned prime rib dinner. The new kid on the block, , named for the trail and hot springs just west of Ketchum, is serving up their own local craft beer and elevated pub fare. In warmer months, the rooftop patio and fire pit are big draws. Currently on the menu: deviled eggs with bacon jam, poutine (with Idaho cheese curds), and housemade sausage and mash. The original 1936 facade of may remain the same, but the interior got quite the facelift. The lobby was extended and floor-to-ceiling windows put in along the back of the hotel, although it still retains its old-world charm. The room count was taken down from 148 to 108 and given a modern update. Deep reds and golds accent the walnut furnishing, bathrooms are outfitted with granite, a soaking tub, and even a ski closet. Many rooms have their own fireplaces. Fans of the old Sun Valley Lodge will be relieved to know that its signature detail — the hundreds of iconic black-and-white images of guests like Marilyn Monroe, Ernest Hemingway, Senator John Kerry, and George Lucas — still line the hallways. The European-style has loads of rustic charm and a heated pool for après ski. The 29-room at the edge of downtown has been recently updated. Some rooms have wood-burning fireplaces and others have jaw-dropping views of Baldy; all have heated marble bathroom floors and contemporary furnishings. There are several nonstop flights into (SUN) on United, Delta, and Alaska. Those coming from the east will likely have to connect in Denver, San Francisco, or Salt Lake. It's a well-known fact among locals who fly in and out of Hailey that one-third of the flights are re-routed to (TWF) due to weather in the winter months. Locals will tell you when coming in during ski season it's best to fly in and out of (BOI), where you can rent a car or call shuttle company , who will handle the two-and-a-half hour drive from Boise to Hailey for $75 each way. A car is nice, but not a must. offers free public transportation around Sun Valley, Hailey, and Ketchum. In the evening, guests at Sun Valley Lodge can take the hotel's shuttle service into town for dinner. 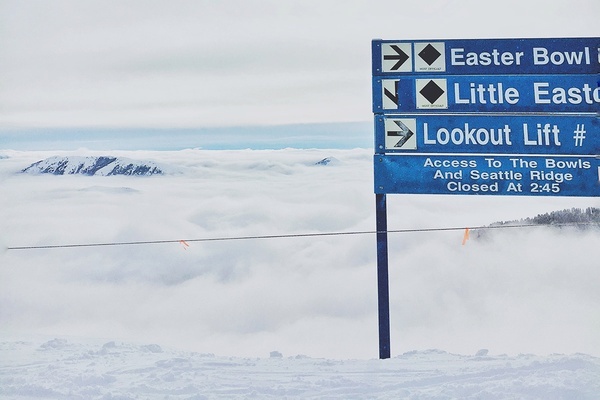 The lifts open in late November and run through mid-April. The crowds spike around Christmas and in February and March when schools and families from nearby Seattle and San Francisco pour in for their spring break. Go in early January for fewer crowds. , which Hemingway wrote, in part, in a suite at the Sun Valley Lodge. While you're in town, pick up a copy of both and Taste of Sun Valley for timely local suggestions and a comprehensive guide to dining in town. Nandita is a New York-based digital content director and fashion and style writer. Previously an editor at Departures and Town & Country, she refined her tastes for California Kings and Pratesi linens during her early days as an assistant at Conde Nast Traveler. You can follow her on and . She travels for the craziest sunsets.